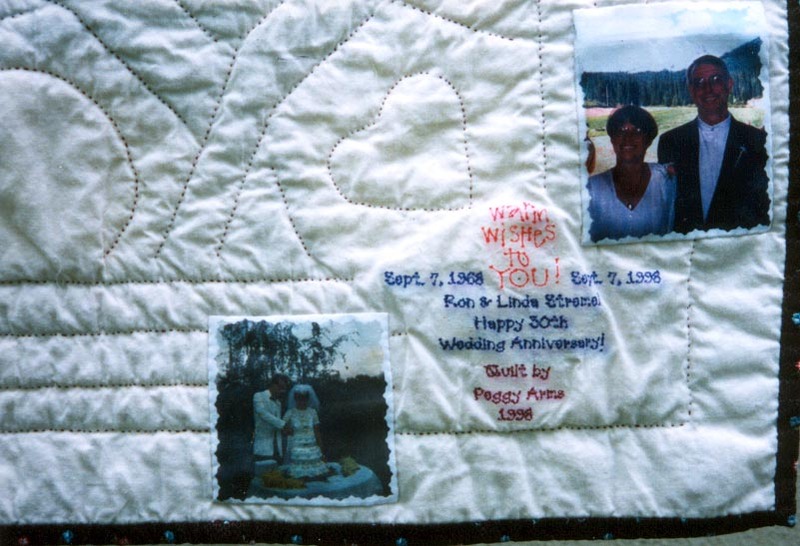 For Ron & Linda's 30th wedding anniversary I made the Saracen Chain wall hanging and hand quilted a heart pattern in each ring. The label (below) has a copy of a photo of them cutting their wedding cake and a photo of them at their daughter, Megan's, wedding. Linda and I went to high school together and roomed together while attending the University of California at Davis, where we both met our husbands. My two brothers, Roy and John Roney were married within two weeks of each other (good they weren't girls!) in the fall of 1972. 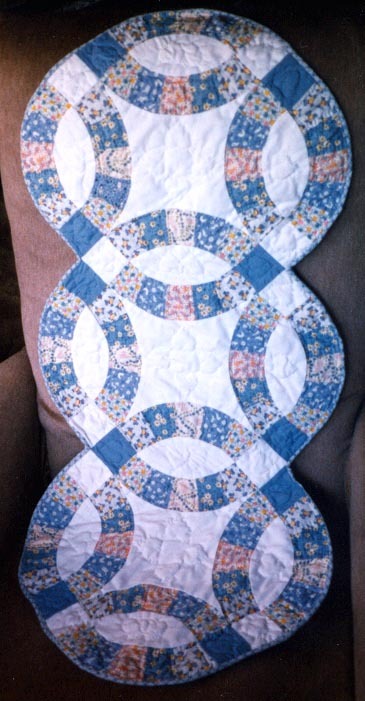 For their 25th wedding anniversaries I made a table runner with three wedding rings for each of them and my sisters-in-law. 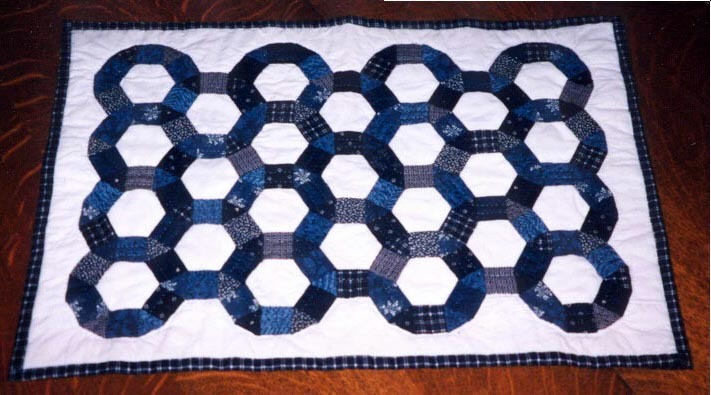 Both are machine pieced and hand quilted with a heart pattern in the ring. 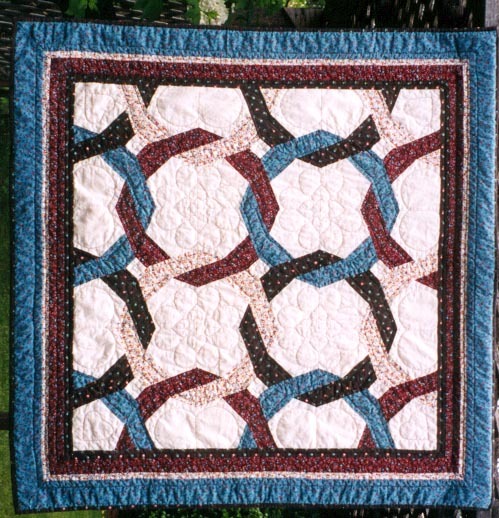 Larry and Bonnie's 25th wedding anniversary was the occasion to make a 25-ring, hand pieced and hand quilted table topper. 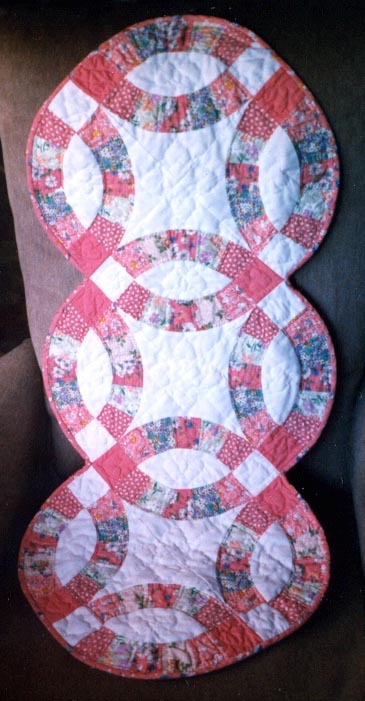 I used a foundation piecing method from a pattern I purchased. The McWilliams family and ours have been friends since 1978. Tom and I met the McNutt's at a pancake breakfast in Cleone (north of Fort Bragg, CA) in the early 1990's. We have met them for many pancake breakfasts since then. Betty knew I was into quilting so one year she mailed me a box of antique cut pieces of fabric. 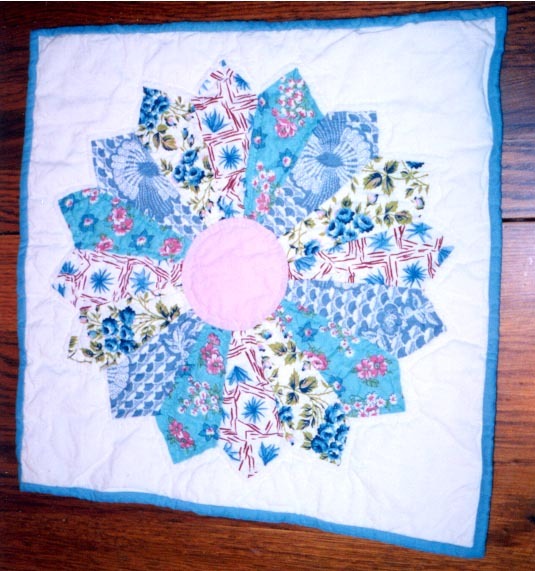 On the occasion of their 55th wedding anniversary I decided to put together a square and send it to them for their table.